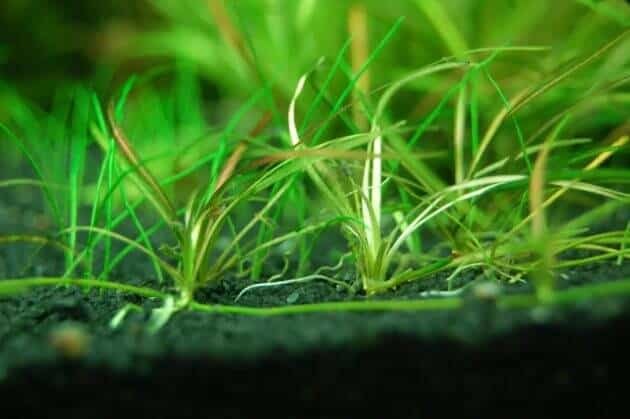 How to Set Up Simple Aquascape with Iwagumi Style – Iwagumi Aquascape is the style introduced by Aquarist Takashi Amano, Japan origin about 30 years ago. The term Iwagumi itself comes from the Japanese word meaning ‘ rock formations ‘. Why is it called rock formations? Because of the style of Iwagumi layout is to use stone as a medium or its main elements. The most difficult thing when creating stylish Iwagumi Aquascape it is time should get the harmony and a sense of unity through simplicity. In the style of Iwagumi, each stone having the name and roles already defined. The main design concept on this style of Iwagumi is the establishment of 3 stone which consists of 1 main stones with large sizes and is often known as Headstone as well as 2 secondary stones with smaller size. 1. The first step, the contents of the aquarium in advance with substrate evenly before placing a few miles on it, the excess of the substrate can be used to cover the base of the stone after stone shown stone looks so buried. 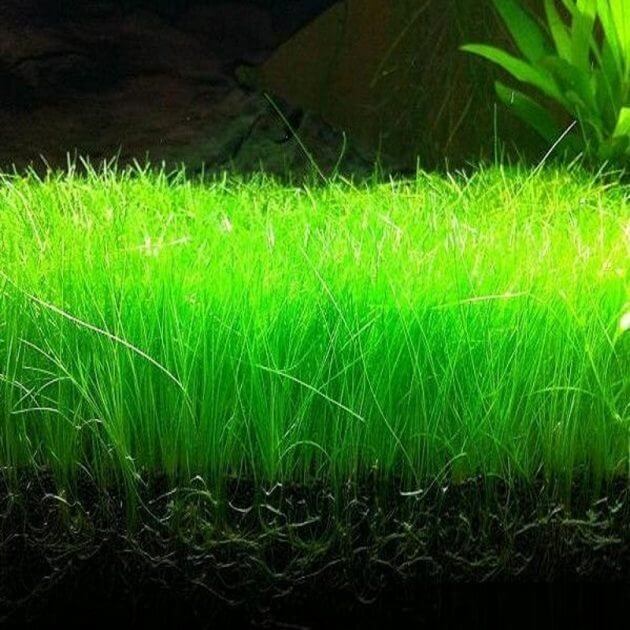 Please note, if you want to make more complex Iwagumi Aquascape then substrate can be elevated or in bold in the back of the aquarium or the angle of the back of the Aquarium. 2. then input the main stone or Oyaishi that have a size of between other rocks. How to put this Oyaishi that is by placing it in accordancewith the theory of “The Golden Ratio”. It is important to select the main stone (Oyaishi) with a size 2/3 height of the aquarium as well as should be placed on the point which is about 2/3 of the width of the Aquarium. 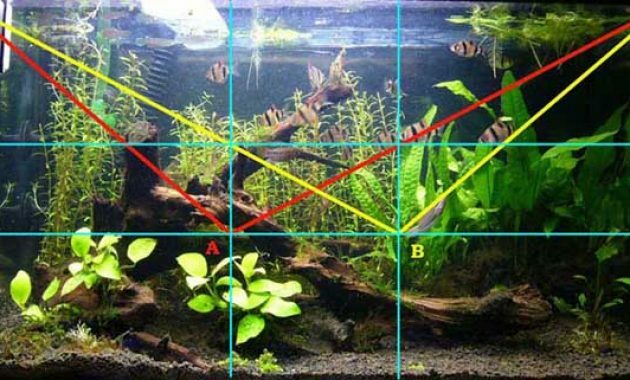 How to differentiate the length and width of the Aquarium an aquarium that is calculated in line with the long axis of the “x” to the left or right while the width is calculated in line with the axis “z” to the front or to the rear and tall aquariums are calculated with the”y” axis up or down. 3. Next, set and place the stone on the basis of size. The first is the stone Fukuishi stone which is the second largest, after that Soeishi and final Suiteishi. To note, the corner stone of balance are you using for your convenience in placing stones correspond to the desired place. 4. If you already have the preferred layout in the sense you’re putting all the stone according formation after it stopped first at this stage. Leave the Aquarium for 1-2 days and should not be used to perform the next step. This aim if you change your mind or have new ideas within the related to the layout of the stone so you won’t need to bother changing the arrangement of the stones back than if you already filled Iwagumi water and already so but it turns out you’ve got a new concept and would like to change it back. It was very inconvenient. 5. The last step, pour more substrate that are on the first step of using the mug, then pour slowly at the base of every rock in the Aquarium. Let the substrate flows by itself passing through the gap rocks. 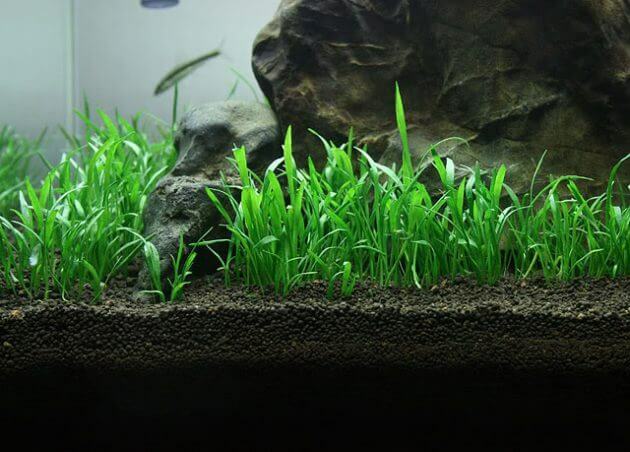 If you want better yet, try using Aqua Soil Powder to coat the top of the substrate, but this is not required. 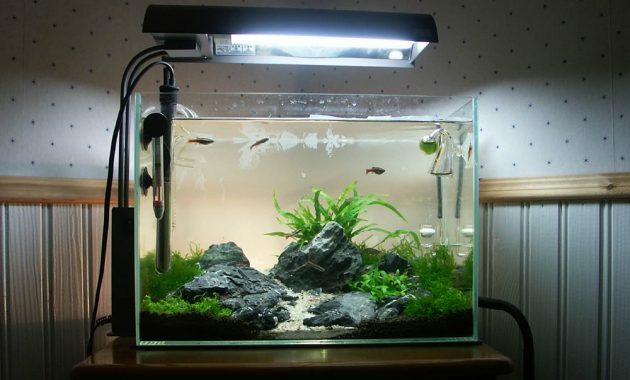 Congratulations, layout or layout style of iwagumi Aquascape simple you already so, next please fill the aquarium with water and proceed with the farm. Do all the steps carefully, as each stone has a different balance, it is not impossible you change position unintentionally. 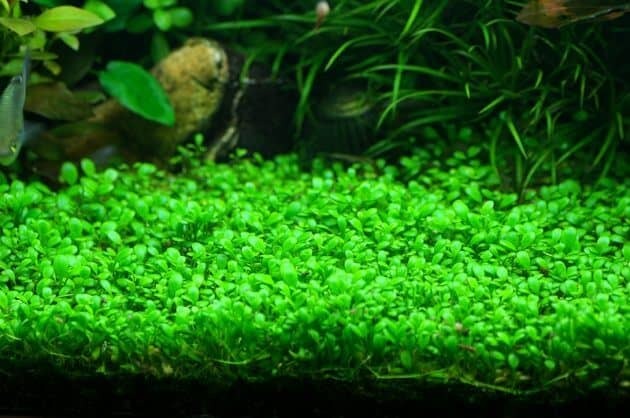 May the Guide make this simple style of Iwagumi Aquascape can be rewarding. During try Aquascaper!